Historic Richmond Town is home to both material culture historians and artisans who have spent decades studying the jobs, trades and food-ways present in New York City in the 18th and 19th centuries. The focus of their research includes the reproduction of original household utensils, common tools and traditional recipes. Some of these items are available for purchase at Historic Richmond Town’s Main Village Site. Jeff Cavorley has had his hand to the forge for more than a decade, filling the homes and shops at Historic Richmond Town with his skilled iron work. He is also an expert English Country Dance instructor and has travelled the country calling sets and instructing other historians in the art of 18th and 19th century music and dance. Jeff has studied Science and Secondary Education at Hunter College. He is an avid astronomer and can be found most weekend evenings at his local observatory. Carlotta DeFillo has been a member of the Education Department at Historic Richmond Town for more than thirty years. She has extensively studied open-hearth cooking, food preparation and preservation as well as textile arts. When Carlotta is not leading cooking workshops in the historic Guyon-Lake-Tysen farmhouse she is researching 18th and 19th century quilting techniques which she uses to create stunning recreations of original quilts. 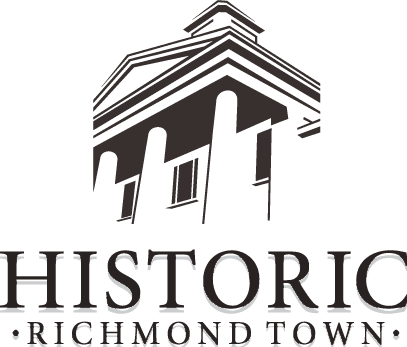 Carlotta assists visitors, amateur genealogists, local historians, and authors in their research projects at Historic Richmond Town’s library, located in Public School No.28. Cheyney McKnight is a living historian and material culture researcher who has focused her studies on the African-American experience in the 18th and 19th centuries, with an emphasis on the daily lives of African-American women. Cheyney was trained by the National Association of Interpretation, and has presented programs and interpreted the lives of African-Americans, both enslaved and free, at more than 50 national historic sites and museums. She is currently compiling original source material regarding African-American foodways, which has brought her to Historic Richmond Town. She is conducting her immersive studies in the functioning open-hearth kitchen of the historic Guyon-Lake-Tysen farmhouse. There, she will research, plan and create authentic meals using regional ingredients, centuries-old recipes, and early 19th century technologies and techniques. In the Tysen kitchen, she has produced culturally meaningful dishes such as Akara—a black-eyed pea fritter from Nigeria—and jollof rice, a one-pot meal popular throughout the regions of Ghana, Senegal, Gambia, Nigeria, Sierra Leone, Togo, Liberia, Ivory Coast, Cameroon, and Mali. Cheyney is the owner of Not Your Momma’s History, a company dedicated to increasing representation of Africans at historic sites across America. Norm Pederson maintains Historic Richmond Town’s working Carpenter’s Shop. The 1836 building is furnished as a rural workshop would have been before the American Civil War. Norm crafts the typical items produced in shops like this, including simple furniture, farm tools, kitchen utensils and home furnishings. Always interested in history and the carpentry of his grandfather's era, Norm soon became involved as a volunteer at Historic Richmond Town, and in 1994, he became a familiar face around the main village, as well as the resident artisan of the Carpenter's Shop. On weekends and during special events, Norm delights visitors with his deep knowledge of this long-lost craft. Norms creations can be seen throughout Historic Richmond Town, and are for sale in the Museum Store. Norm was born and raised on Staten Island, the grandson of a carpenter from Norway. He spent his life working in the maritime world, shipyards, and later as a deckhand on the Staten Island Ferry, retiring in 2008. Annie Wickersty has been involved with Historic Richmond Town since she started as a tinsmith shop apprentice in the mid-90's. Her favorite thing about tinsmithing is the opportunity to learn about everyday life in the past through studying and making common household objects of the time. She trained extensively to become a tinsmith during her teens and early twenties, and today finds that teaching the trade to the next generation of apprentices at HRT's summer apprentice program is one of the most important and rewarding experiences. On weekends and during special events, Annie is often found in the Tinsmith’s shop crafting wonderful creations with her dedicated apprentices. These one-of-a-kind creations are seen throughout the village and are available for sale in the Museum Store. Studying under master tinsmith and since-retired Restoration Department supervisor Bill McMillen, and journeyman tinsmith George Conlon, Annie has had the honor of creating useful and decorative reproduction tinware in HRT's tinsmith shop, demonstrating the trade at various museums and festivals in the Northeast (usually alongside her father, carpenter Norm Pederson), and appearing on an episode of PBS's "The Woodwright's Shop." Annie is an elementary school teacher, wife, and mother. Jason Wickersty has been involved with Historic Richmond Town since 2003 demonstrating several historic trades, including wet plate photography and letterpress printing. He learned the “dark art” of mid-19th century photography under John Coffer, Will Dunniway, and the late Cluade Levet, who, himself, photographed Historic Richmond Town using the wet plate collodion process in the 1990s. 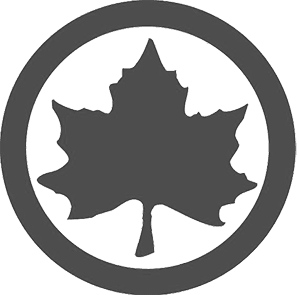 Jason has also studied 18th and 19th century typography and design for over 15 years, and learned letterpress printing under the tutelage of Greg Joly and Ed Rayher at Historic Eastfield Village. Outside of HRT, Jason is a Park Ranger with the National Park Service. His historical research work specializes in the soldiers' pensions and damage claims of New Jersey during the Revolutionary War. He has written for the Company of Military Historians, American Battlefield Trust, and the Journal of the American Revolution. He is also a proud husband, father, and Jerseyman.